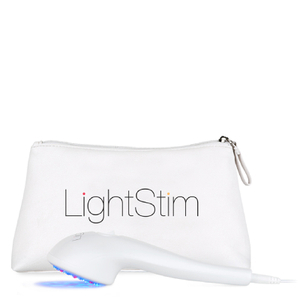 LightStim's hand-held technology delivers elastin and collagen-stimulating doses of light to the deeper skin layers to boost production of these important anti-aging proteins. The result is skin that's firmer and more youthful with a reduction in fine line and wrinkles. In addition, there's also an easy-to-use acne light that kills acne-causing bacteria while easing skin inflammation. LightStim is rapidly becoming the leader in hand-held light devices that deliver safe, high-powered doses of light to treat sun-damaged skin as well as acne. Unlike laser therapy, LightStim's hand-held units are safe and effective and require no down time. All you'll notice is healthier-looking skin. When you're looking for serious anti-aging results, you need products backed by scientific evidence and modern technology. After all, reducing the appearance of common signs of aging, fine lines and wrinkles, sagging skin, and more, isn't a simple task, so it takes a brand with an effective line of products to truly minimize these signs. Since 2001, LightStim has been on the forefront of anti-aging technology, offering LED Light Therapy tools that have been used by plastic surgeons, dermatologists, estheticians, and other skin care professionals. LightSim is situated uniquely in the anti-aging marketplace, it is the only U.S. manufacturer of LED equipment for professional use that also develops at-home devices for customers as well. Thus, when you invest in an LED product available at SkinStore, you can enjoy professional-quality sessions from the comfort of your home. Enjoy all of the anti-aging benefits with easier access and reduced cost. 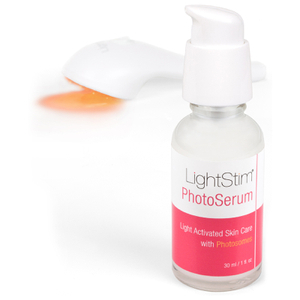 LightStim is committed to helping you, the customer, enjoy maximum benefits from its line of products, which includes serums and light therapy devices for at-home use. The company even has a smartphone app, which features product guides, treatment tracking, light therapy tips, and customer support all with the swipe of your fingers. If you feel like you're losing the battle against aging, you just might need a new approach. LightStim LED Light Therapy is a noninvasive and chemical-free option for those who want to reduce fine lines and wrinkles, firm and tone the skin, minimize pore size, and reduce the effects of blemishes. One of the newest beauty tools that have been developed, LED light therapy devices have quickly become accepted as alternative treatment options for a variety of skin issues, including acne, rosacea, and wrinkling. Each of the available LightStim Products has been developed with one of these skin issues in mind, targeting the skin in ways that stimulate healing and rejuvenation. Implementing a unique combination of LED lights into each device, LightStim Products combat specific skin issues, producing visible results within a short timeframe. LightStim Products are perfect for women and men who need skincare but prefer the convenience of a solution that does not include a lotion, gel, cream, or medical prescription. If you are currently suffering from repeated acne breakouts, rosacea, or the appearance of enlarged pores, wrinkles, or fine lines, take a few moments to read up on the available collection presented here and put away messy creams and gels forever. Enjoy the benefit of solutions that are easy to use and effective. Try LightStim Products in the near future for fantastic results. Easy to incorporate into your daily routine, the LightStim Acne Light utilizes proven technology to control acne breakouts. Combining red, infrared, and blue LED lights, this device works to reduce the inflammation and redness that accompany the breakout of acne, offering pleasant relief from pain and discomfort. The light works to kill the bacteria that lead to acne, healing existing blemishes and reducing the incidence of future scarring. This is a gentle acne solution that does not rely on harsh chemicals or lasers to reduce the appearance of unwanted acne. Restore your youthful appearance as you reduce the appearance of aging lines and wrinkles with the LightStim Anti-Aging Light. 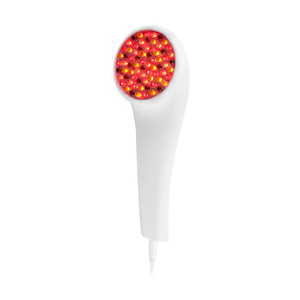 Utilizing a powerful combination of red, infrared, and amber LED lights, this anti-aging light stimulates the fibroblast cells of the skin, activating the production of elastin and collagen. This increase in the levels of your skin's collagen and elastin plumps up your skin, recreating its radiant beauty as fine lines and wrinkles decrease in size. 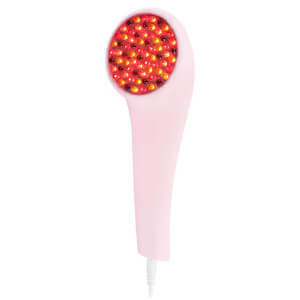 Offering a unique combination of infrared, red, and blue LED lights, the LightStim Rosacea Light is designed to provide relief from the redness and irritation caused by Rosacea. Minimizing the appearance of small blood vessels and enlarged pores, this gentle light helps to improve skin tone without the need to resort to harsh measures that require time for recovery. It is easy to use, making it possible to add it into your daily routine with little to no trouble at all.